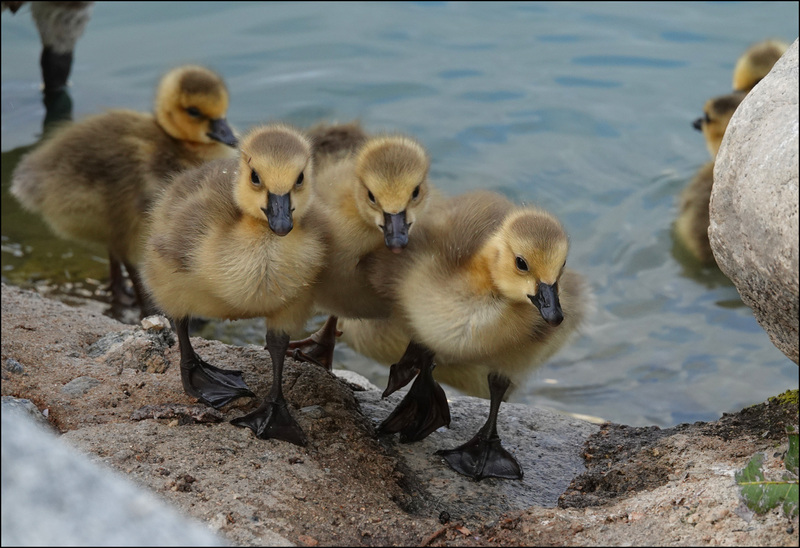 A couple of weeks ago it was duckling season, so gosling season can’t be far behind, can it? Indeed not. Our lake is now full of adorable baby Canada geese. Aren’t they the cutest little things you’ve ever seen? A question for the bird people: the particular brood that I saw the other day had 11 goslings. That’s not possible, is it? What kind of goose could sit on a nest with 11 eggs in it? Do multiple geese share daycare duties if their eggs hatch at the same time? Or what? 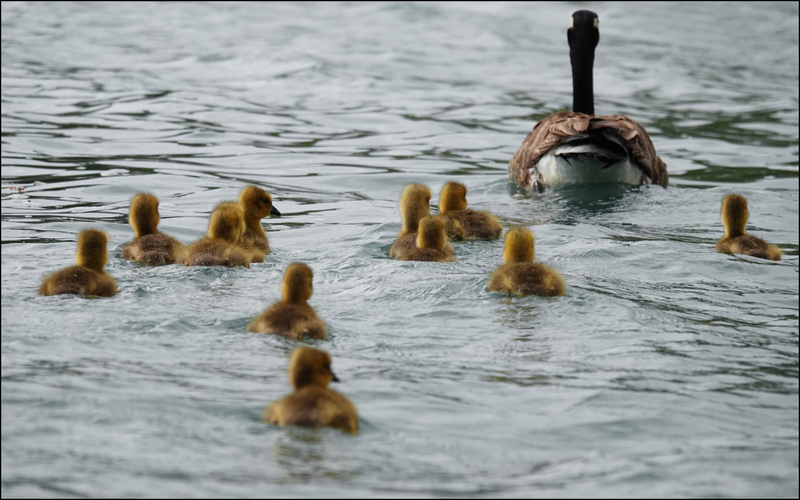 UPDATE: Yes, it turns out that Canada geese often form “creches” of goslings from several different nests. Here’s a picture of a 40-gosling creche on the Thames a few years ago, courtesy of the Daily Mail.